I mentioned in a recent note that if oil had to retreat to $60/bbl and the currency was $13,00/$, then EPS in F2019 would be approximately R34 per share. Spot EPS is currently below R40 per share with Brent at $60/bbl and the rand at R14.00/$. In the past week, Brent slipped to $58/bbl whilst refining margins fell by 25%, from already weaker levels. Ethylene has been broadly stable with propylene, LDPE, and polypropylene all lower. Ethane was stable having fallen previously. US natural gas is firmer at $4.50. Petrol and diesel crack spreads are both at low points. Current chemical pricing also means that the Lake Charles chemicals plant will probably make EBITDA below initial estimates of $110 million to $160 million in F2019. However, I still estimate EBITDA of over $1.0 billion by F2023. 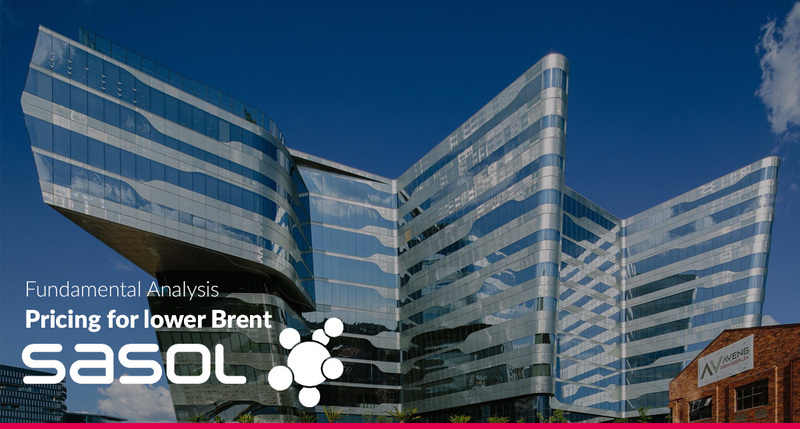 Sasol’s recent trading statement indicated headline earnings would be 20% higher at the midpoint for the six months to December 2018, which is around R21.00 per share. Whilst this may seem reasonable, it is backward looking and not reflective of what the second six months could turn out to be. I still expect consensus sell-side EPS estimates to fall. Second quarter production will be issued later in January. Also weighing on Sasol is proposed government amendments to the fuel price formula. The Department of Energy has issued a discussion document on the regulated basic fuel price mechanism. Whilst the changes would be less than 1% of the petrol price, if implemented as proposed, it would still knock about R600 million or 2% off Sasol annual earnings. Liquid fuel prices are a function of import parity and assume there is no refining capacity in South Africa and the government as proposing to adjust import ports of origin, freight premium, ocean losses, and storage fees. Whilst traders have been better off on the short side since oil October, given the changing earnings drivers, Sasol is now starting to look far better value for long positions. It is also worth mentioning that MSCI has adjusted the South Africa JSE Index for November and Sasol’s free float goes up to 90% from 85%, a small but welcome change as it improves liquidity and weighting. On a through the cycle view, I maintain fair value and target price of up to R450 with pricing beyond that simply a function of where a higher level of spot EPS is relative to analysts’ consensus views on commodities.